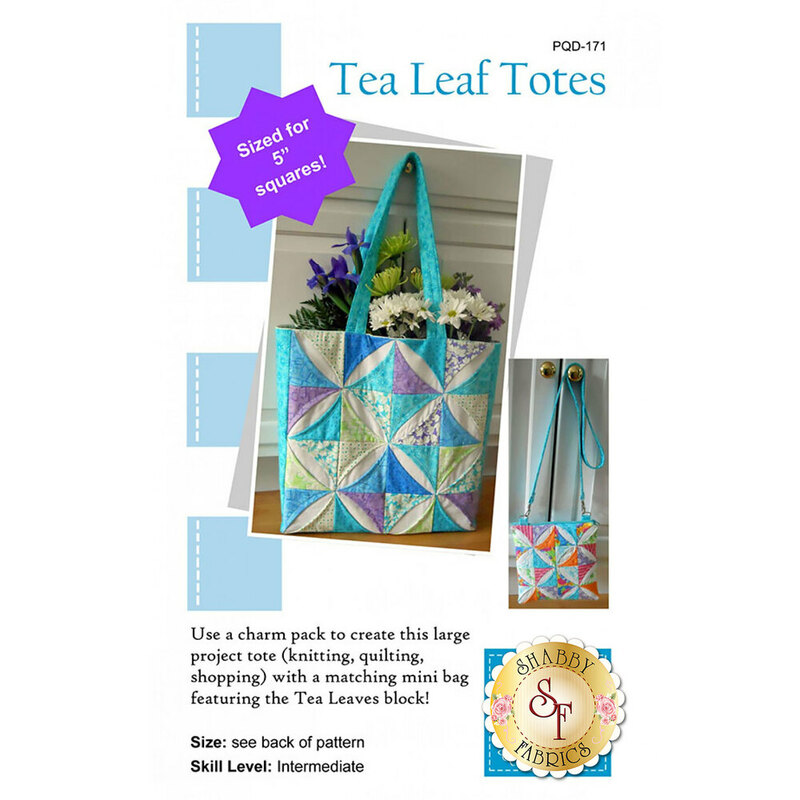 Create unique and exciting totes that everyone will admire with the Tea Leaf Totes pattern from Poor House Quilt Designs! Use your favorite charm pack or 5" squares of your favorite scraps to get started on this darling tote! 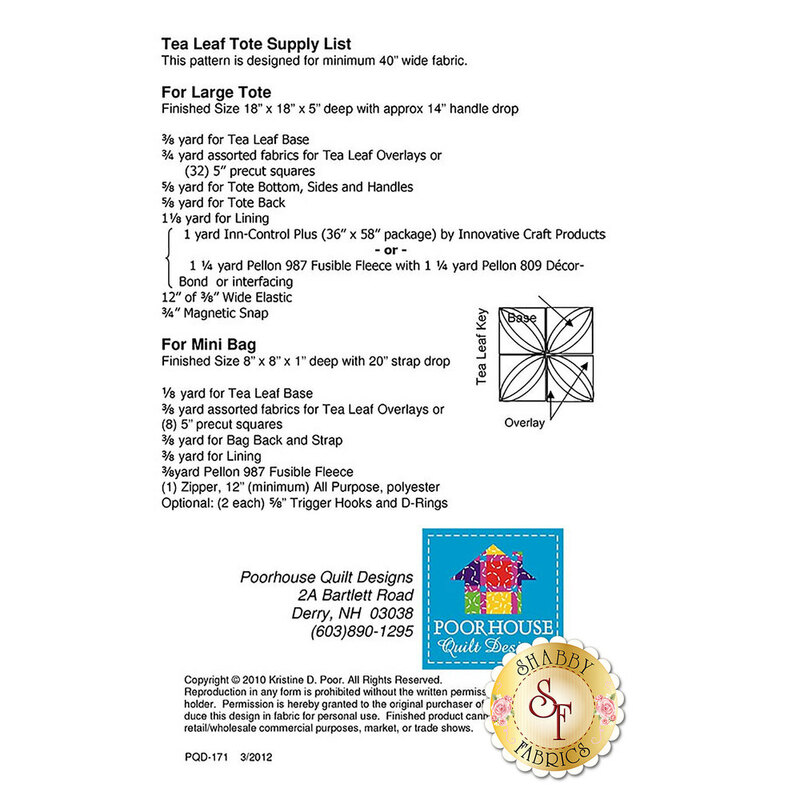 Instructions included for two sizes: Large Tote - 5" x 18" x 18", Mini Bag - 1" x 8" x 8".